On the TypePad team we’re thinking a lot lately about social media optimization and what it means to bloggers of all sizes and stripes. I wanted to give my own riff on the topic. Search engine optimization is a set of practices to ensure that your content is easily findable by the search engines, and ultimately by your target market. 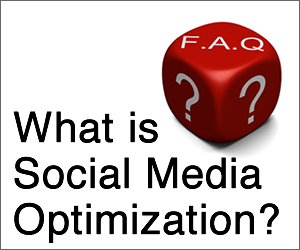 Social media optimization is a set of practices to ensure that your content is easily shareable across all social networks and services, and ultimately by your target market. Remember our three buttons? They outline the process of how a prospect becomes a subscriber and how a subscriber becomes a customer. Typically a new prospect or lead comes to us after they’ve clicked a SEARCH button to find something that they are looking for and hopefuly the SEO brings the right people our way and then if they don’t purchase immediately they SUBSCRIBE to our blog or email alerts or feed updates or newsletter (this button could also be Become a Fan on Facebok or Follow on Twitter) and they gradually get to know more about us and our business and expertise and then when they finally are ready to PURCHASE they know exactly who we are and what we’re about and why we’re the best choice for them. Social media is be part of the in-take of new leads and prospects. I see that one of my trusted friends on Facebook is raving about you – I click to learn more about you. I see a retweet of your Twitter stream and I decide to start following you. One of my favorite bloggers talks about you. Social media optimization is about how other people help your future customers find you. Where the SEARCH button is really about completely random people stumbling into your world, social media shows those implicit connections, friendships and endorsements. I’m trying to keep the focus on the people in the social networks – not just the various sites and services that create a social network. So that part only looks at social media in the lead generation process. Social media is also about how your business stays in touch with prospects, customers and colleagues. Email newsletters have expanded to blogs and RSS feeds and email alerts and instant messaging alerts and Twitter tweets and Facebook notes and TypePad’s Dashboard and who knows what else is coming down the way. I still think a blog is the easiest way to manage of all these streams so you are always bringing people back into your site, your blog, your orbit instead of keeping all your brand equity in Facebook or Twitter. This entry was posted in General on September 28, 2009 by Andy Wibbels.